A flabbergasting experiment in publishing hubris, Monograph charts the art and literary world’s increasing tolerance for the language of the empathetic doodle directly through the work of one of its most esthetically constipated practitioners. Kirkus liked it and Zadie Smith blurbed “there’s no writer alive whose work I love more than Chris Ware”. Instant preorder. 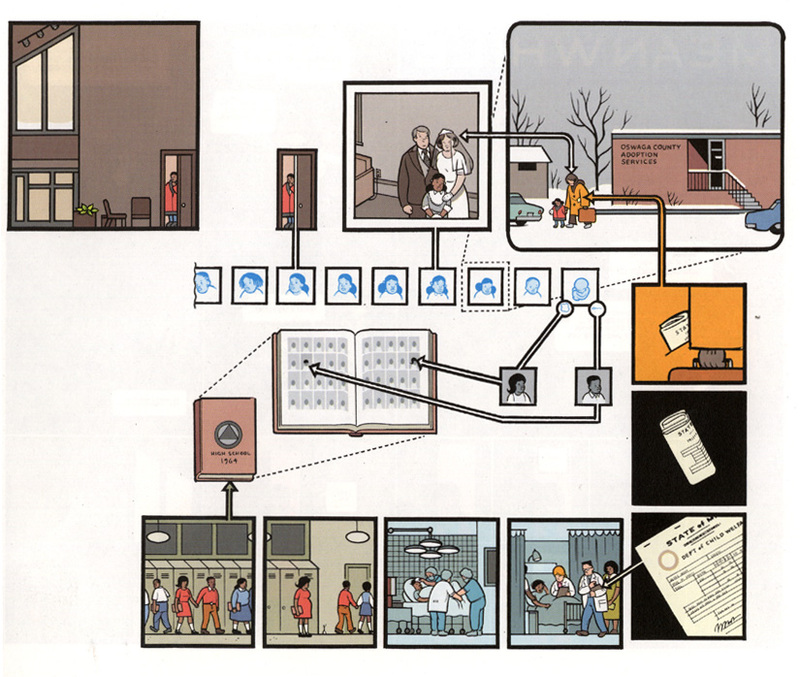 Chris Ware follows the wanderings of a penny in his latest piece for the NY Times. Building Stories, new Chris Ware graphic novel! Chris Ware is coming out with a new graphic novel called Building Stories, which has appeared in bits and pieces in other places. From MUBI notebook, a selection of great movies posters from 2011, including Chris Ware’s lovely one for Uncle Boonmee. 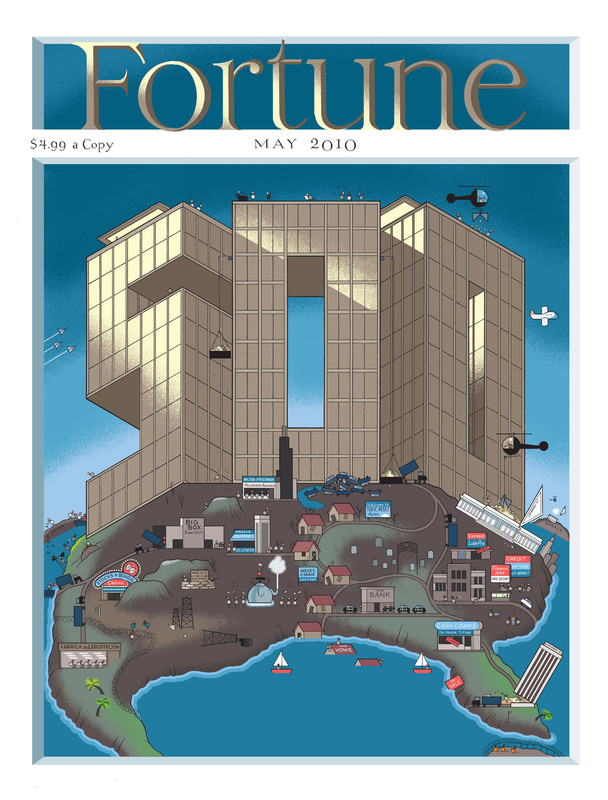 Could there be a more perfect topic for kottke.org than Chris Ware’s hand-crafted olde-tyme goodness on Apple’s magical piece of technology? Touch Sensitive is a comic and unlike the other e-books in this store. It was crafted specifically for the McSweeney’s app and is available only in iPad format. Chris Ware has a two-page spread (+ the cover) in this week’s New Yorker. Ware doesn’t seem like an iPhone kind of guy to me, but I guess you don’t need to be to show how disconnective these seemingly connective technologies can be. Update: The video is back online again. The movie poster for The Savages was done nicely by Chris Ware. Longish detailed interview with Chris Ware about comics, which he calls “the weird process of reading pictures, not just looking at them”. This week’s New Yorker features 4 different Thanksgiving-themed covered by Chris Ware. Collect them all! This one’s my favorite. “From September 27th - October 21 the Museum of American Illustration at the Society of Illustrators will host ‘30 Years of Fantagraphics,’ a retrospective art exhibition of over 100 pieces of original art published by the Seattle underground giant.” Artists in the exhibition include Chris Ware, Daniel Clowes, and Robert Crumb. Peter Schjeldahl, in a harsh review of graphic novels for the New Yorker (with particular contempt for Harvey Pekar), suggests that the artistic breakthrough of graphic novels has occurred, been recognized, and “that a process of increasingly strained emulation and diminishing returns has set in”, citing Chris Ware’s Jimmy Corrigan as the form’s peak. Here’s a positive review of Ware’s newest collection.